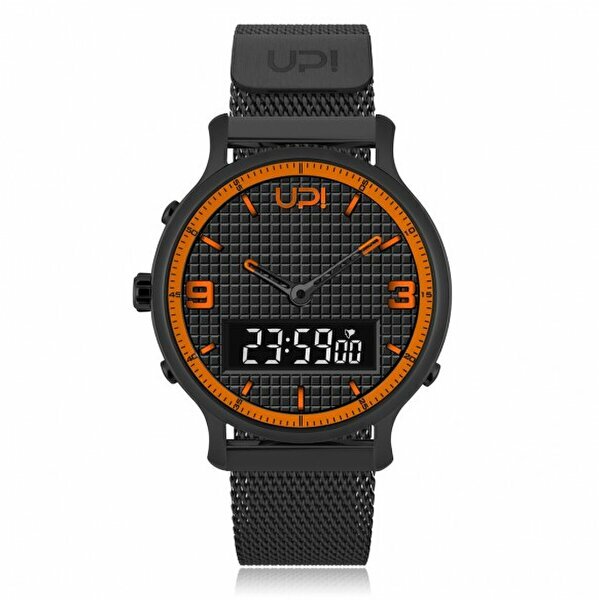 This unisex watch has classy design with its black-orange color and silicon band (strap). Case size (diameter) is 45 mm. 3 ATM water resistant: It means it is not suitable to use while you are swimming. It operates with standard lithium battery. Display is designed with Analog Miyota plus Digital Up Mechanism. About Upwatch: Started in Turkey, 2013 Upwatch is now a well-known company by officially patented in 28 countries. All watches are produced in facilities that are certified by SA8000 and ISO14000 standards.